From restrooms to showers, our trailer rental fleet was built with convenience in mind and can be quickly dispatched to meet your unique needs. Whether it be a wedding, film shoot or even an emergency outage, our spacious trailers are centered around versatility and availability. Restroom trailers are the perfect solution where comfort and versatility are required. 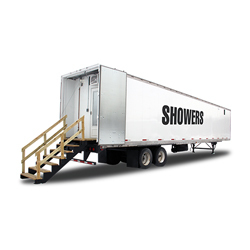 Shower trailers are ideal for commercial job sites, industrial outages, and disaster relief. 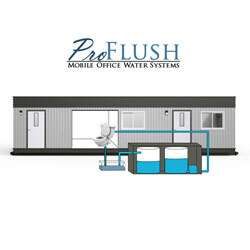 This system provides the connections trailers need without having to tie into city water lines.